The productions by the Tanztheater Wuppertal are so much more than modern dance. They are emotions condensed and made visible through the language of the body. Crucial to the experience of the performance is the stage setting. The elaborate yet minimal sets are powerful actors in their own right and draw the audience into an often surreal world. It must have been in the late 70s that I was ill in bed watching a cultural program on a very fuzzy black and white tv late one night. Café Mueller or Kontakthof was being reviewed – I have been lost to the magic of the imagery ever since. 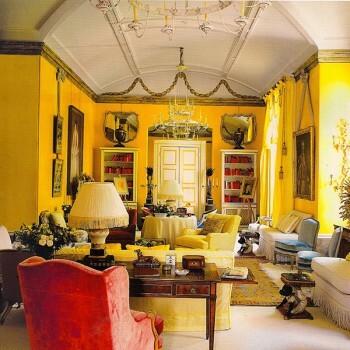 One of my favorite places to visit in London is the Yellow Room upstairs at Colefax and Fowler’s in Avery Row. Nancy Lancaster created the room together with her business and decorating partner John Fowler in the 1950s. Although the house is used as a showroom today the layout and the decoration is much what it originally was. Pure time travel, it is the epitome of the English country house look in a city pad – invented by an American. 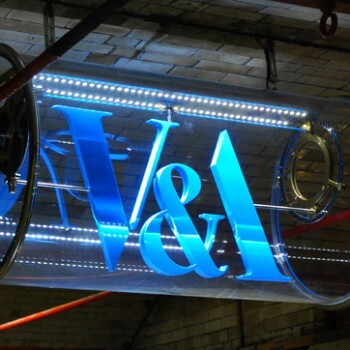 It is the world’s largest museum of decorative arts and design. Its employees look after, research and display 4.5 million objects. Its existence is inextricably linked with the height of British industrial and political power in the 1850s and the belief that design sells products. 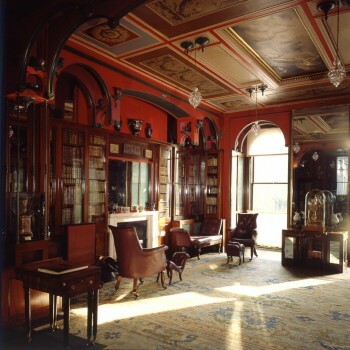 As a student of history of design I had my own study place in the garrets of the museum and a pass that allowed me access to every nook and cranny of this wonderful and very British institution – bliss! Tim Walker’s photography is Englishness incarnate: eccentric, romantic, and opulent. Fashion is staged as a slightly unsettling fairy tale. Utterly dreamlike, nature and the modern world clash yet remain aesthetically united within the sublime framework of texture and color. The sensitivity of the images, the original beauty and wit are truly inspirational: dare to dream! In October 2009, after more than sixty years as a ruin, the Neue Museum opened its doors to the public. 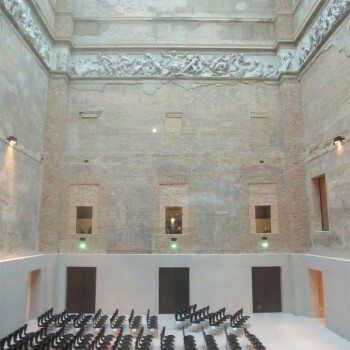 The restoration by David Chipperfield Architects in collaboration with Julian Harrap focused on repairing and restoring the original volume, respecting the historical structure. The conversation between the old fabric of the building and the new interior is astounding. The new spacial definitions are a clear contemporary statement. The clean concrete mixed with local Saxonian marble chips sets off the rawness of the unfinished original walls. The design solution for the interior reflects a sensitive understanding of history. It makes history visible, the old building as well as the destruction of the second world war yet does not deny that time has moved on expressed in the contemporary design. These paintings make my heart race. Aesthetically somehow juxtaposing the 19th century and the 1960s they touch me on a deeply emotional level – but I really cannot explain why. Of course there is this old fashioned painterlyness, the colors that make the textures come to life, the fairy tale quality. 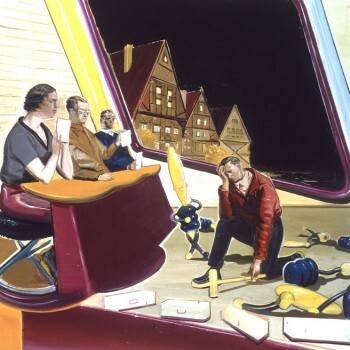 It has been said that the paintings have a deeply German quality. That they convey the sensitivity of the 21st century a complex epoch of global revealing and concealing. Mythological. Uncanny. I feel it is all that and more. And they make me look again, and again. Walking through the interior of 13 Lincoln’s Inn Fields is a revelation. The physical impact of the space is intense almost claustrophobic. From 1792 to 1824, for 32 years the architect Sir Soane built and rebuilt the house and its interiors over and over again. Obsessively he collected and displayed 700 antiquities, encompassing Egyptian, Greek, and Roman works of art and objects. He negotiated an Act of Parliament that upon his death the building and its contents were to be left in the state they were at this point. Aside from the obvious benefit of visiting an authentic historical interior the most amazing aspect is that it is quite literally a physical tour of the interior of a mind. Clothes like houses protect us from the elements. The sensual experience of textiles against the body, the physical need for comfort, and the expression of our identity link fashion and interiors. 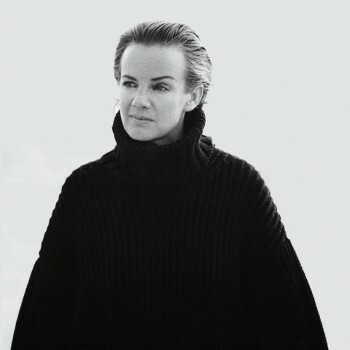 Jil Sander has been at the forefront of urban fashion design for many years. Beautiful, functional and crafted with care her designs result in an almost uniform like minimalist style that does not date. Wearing her clothes has been my guilty pleasure since 1972. Visually playful and light all buildings of these Swiss architects are rooted in rigorous philosophical analysis of site, user and materiality. The designers of such iconic buildings like the ‘bird’s nest’, the national stadium in Beijing for the Olympics, and the Allianz Arena in Munich Herzog & de Meuron are true heroes of mine. The iconographies of the buildings evolve through a thorough and deep understanding of the surrounding culture often in collaboration with artists. 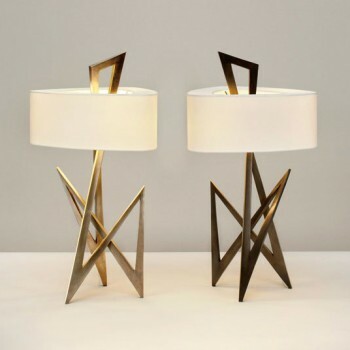 In the world of statement furniture and decorative pieces Monsieur van der Straeten is unusual. Starting out as a jewelry designer for the exuberant fashion house Christian Lacroix he now exerts restraint in his designs for interior products. Beautiful lines, exquisite materials and an unerring eye for proportion are his trademarks. 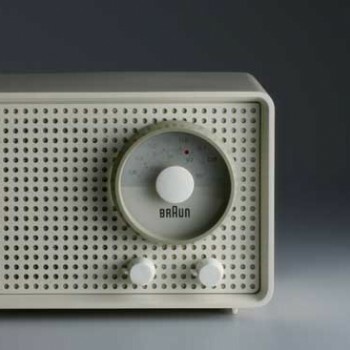 Dieter Rams is the god of product design. Originally trained as an architect and interior decorator before he moved into product design, he started to formulate his ten commandments for good design in the 1970s. They include ideas of sustainability and aesthetic value as life enhancing qualities for the user – thus demanding ethical design. The Braun radio is forever engrained in my memory. I see it standing in a sun-flooded room, my mother crying helplessly. The news that president Kennedy had been assassinated had just been broadcast. 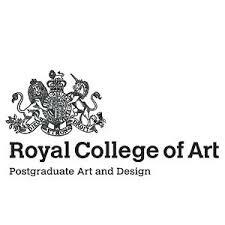 The Royal College of Art is my true alma mater that taught me rigorous research and presentation skills in history of design. The meaning of objects in their historical and contemporary context is an ongoing concern of mine.